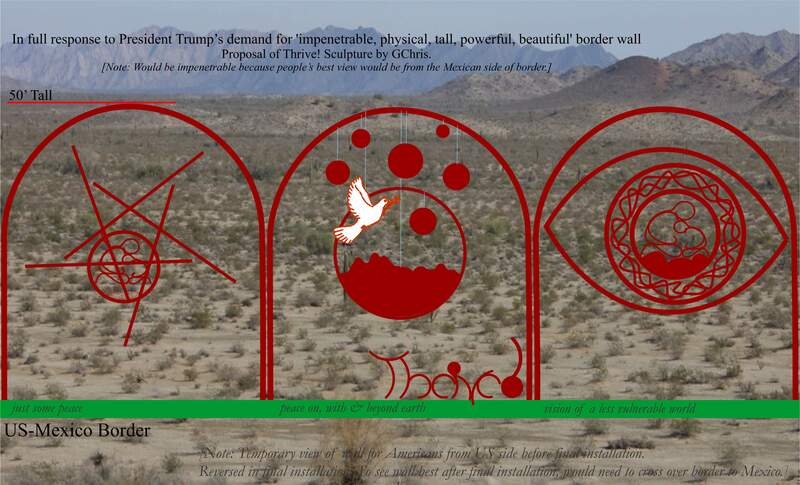 Trump says he will build ‘impenetrable, physical, tall, powerful, beautiful’ border. Trump says he will build ‘impenetrable, physical, tall, powerful, beautiful’ border. DHS to Solicit Proposals for ‘Wall Structures’ on Southern Border. In response to President Trump’s call for a ‘impenetrable, physical, tall, powerful, beautiful’ border, this proposal should be an appropriate response. Thrive! Sculpture submitted by GChris.